To age well, we must eat well. There has been a lot of evidence that heart-healthy diets help protect the brain. The latest good news: A study recently published in Neurology finds that healthy seniors who had daily helpings of leafy green vegetables — such as spinach, kale and collard greens — had a slower rate of cognitive decline, compared to those who tended to eat little or no greens. "The association is quite strong," says study author Martha Clare Morris, a professor of nutrition science at Rush Medical College in Chicago. She also directs the Rush Institute for Healthy Aging. The research included 960 participants of the Memory and Aging Project. Their average age is 81, and none of them have dementia. Each year the participants undergo a battery of tests to assess their memory. Scientists also keep track of their eating habits and lifestyle habits. To analyze the relationship between leafy greens and age-related cognitive changes, the researchers assigned each participant to one of five groups, according to the amount of greens eaten. Those who tended to eat the most greens comprised the top quintile, consuming, on average, about 1.3 servings per day. Those in the bottom quintile said they consume little or no greens. After about five years of follow-up/observation, "the rate of decline for [those] in the top quintile was about half the decline rate of those in the lowest quintile," Morris says. So, what's the most convenient way to get these greens into your diet? "My goal every day is to have a big salad," says Candace Bishop, one of the study participants. "I get those bags of dark, leafy salad mixes." A serving size is defined as a half-cup of cooked greens, or a cup of raw greens. Does Bishop still feel sharp? "I'm still pretty damn bright," she tells me with a giggle. She isn't convinced that her daily salad explains her healthy aging. "I think a lot of it is in the genes," Bishop says, adding, "I think I'm lucky, frankly." She has other healthy habits, too. 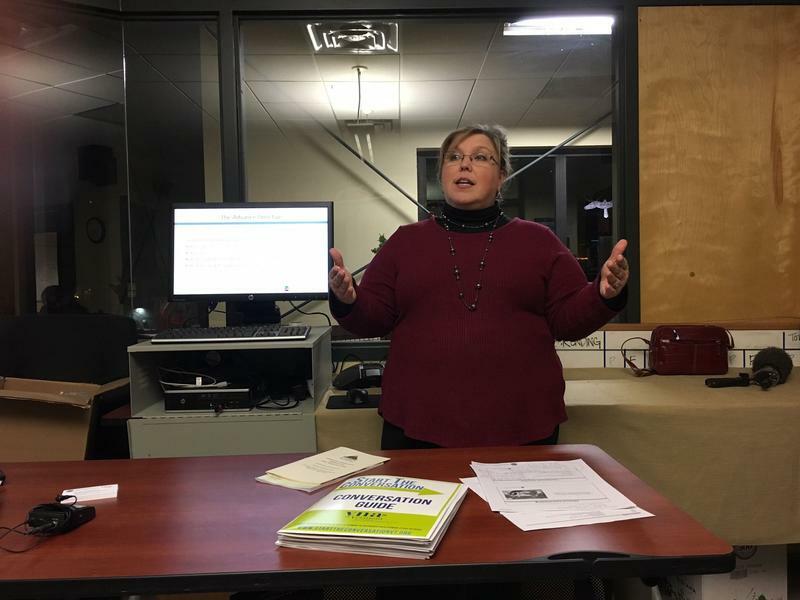 Bishop attends group exercise classes in her retirement community and she's active on several committees in the community. Many factors play into healthy aging — this study does not prove that eating greens will fend off memory decline. With this kind of research, Morris explains, scientists can only establish an association — not necessarily causation — between a healthy diet and a mind that stays sharp. Still, she says, even after adjusting for other factors that might play a role, such as lifestyle, education and overall health, "we saw this association [between greens and a slower rate of cognitive decline] over and above accounting for all those factors." Some prior research has pointed to a similar benefit. A study of women published in 2006 also found that high consumption of vegetables was associated with less cognitive decline among older women. The association was strongest with greater consumption of leafy vegetables and cruciferous vegetables — such as broccoli and cauliflower. And, as NPR has reported, there's evidence that a Mediterranean-style diet — which emphasizes a pattern of eating that is rich in fish, nuts, vegetables and whole grains — may help stave off chronic diseases. What might explain a benefit from greens? Turns out, these vegetables contain a range of nutrients and bioactive compounds including vitamin E and K, lutein, beta carotene and folate. "They have different roles and different biological mechanisms to protect the brain," says Morris. More research is needed, she says, to fully understand their influence, but scientists know that consuming too little of these nutrients can be problematic. For instance, "if you have insufficient levels of folate in your diet you can have higher levels of homocysteine," Morris says. This can set the stage for inflammation and a buildup of plaque, or fatty deposits, inside your arteries, which increases the risk of stroke. Research shows elevated homocysteine is associated with cognitive impairment among older adults. Another example: Getting plenty of Vitamin E from foods in your diet can help protect cells from damage and also has been associated with better cognitive performance. "So, when you eat leafy greens, you're eating a lot of different nutrients, and together they can have a powerful impact," Morris says. To age well, it is said, we must eat well. 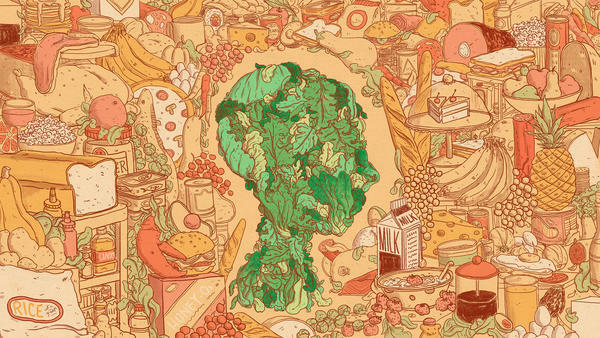 But exactly what kinds of foods may be most beneficial for the aging brain? NPR's Allison Aubrey looks at the latest evidence coming from a study of healthy seniors who live in retirement communities in suburban Chicago. CANDACE BISHOP: Oh, God, yes. Oh, absolutely. I'm still pretty damn bright, yes. AUBREY: Bishop is one of about a thousand participants in Rush University's Memory and Aging Project. Their average age is 81. Each year, they take a battery of tests to analyze memory. Researchers also track their exercise and diets. Candy Bishop says, over her lifetime, she's not been a purist when it comes to eating well, but one habit she has been absolutely committed to is this. BISHOP: My goal is, every day, to have a big salad. Instead of buying a lot of different lettuces, I'll get those bags of darker, leafy salad mixes. AUBREY: With greens such as spinach and kale. She also tosses in other stuff she likes. BISHOP: Carrots I like a lot - raw carrots - and radishes are good. AUBREY: Turns out, these daily salads may help explain Candy's healthy aging. The latest data from the Rush study published in the journal Neurology shows that the participants who eat the most leafy greens - about a serving and a half per day - have had a much slower rate of cognitive decline compared to those who eat little or no greens. Over about a five-year period, the heavy greens eaters declined at about half the rate. Here's study author Martha Clare Morris. MARTHA CLARE MORRIS: Our study does suggest that leafy greens have a number of nutrients that play different protective roles in the brain. AUBREY: For instance, leafy greens contain plenty of vitamin E, lutein and folate. Morris says more research is needed to understand how exactly they influence the brain, but scientists do know that too little of these nutrients can be problematic. MORRIS: If you have insufficient levels of folate in your diet, you can have higher levels of homocysteine. AUBREY: Which can set the stage for inflammation and a buildup of plaque inside your arteries. MORRIS: So when you eat leafy greens, you're eating a lot of different nutrients, and together, they can have a powerful impact. AUBREY: Candy Bishop says it's good to know that greens and other food she likes, such as fish, seem to be good for her brain. But she says she thinks a lot of how you age is in your genes. BISHOP: I don't feel that I have any secrets. I just think I'm damn lucky, frankly. AUBREY: Of course, many factors influence the aging process, and this study does not prove that eating greens will fend off memory decline. What it does do is add to the evidence that diet matters. As for Candy Bishop, despite feeling sharp, she says she does notice little slips. BISHOP: Who was that? What was this guy's name? AUBREY: But she chalks that up to a normal part of aging. BISHOP: As time goes by, you know, you're not a - (singing) you're not a kid anymore - if you remember that old song. And the answer is, no, I'm not a kid anymore. AUBREY: But she says she will keep eating her greens. Allison Aubrey, NPR News. Transcript provided by NPR, Copyright NPR. This year's severe flu season is still pummeling the country from coast to coast. The respiratory illness appears to be unusually bad for baby boomers, federal health officials reported Friday. 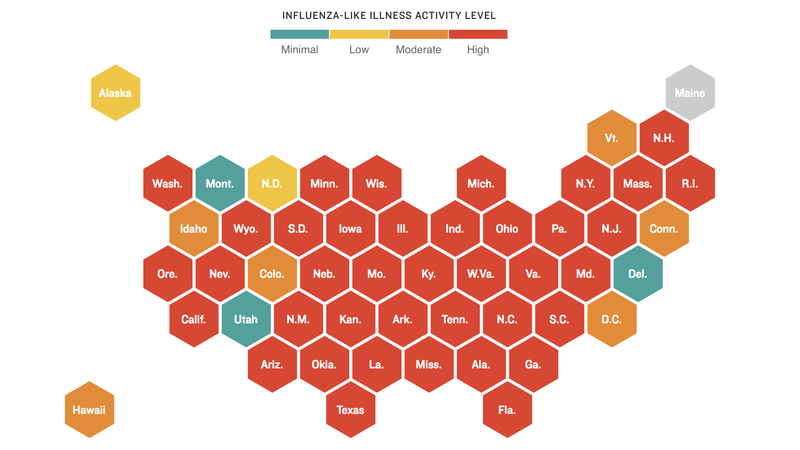 While the flu appears to have started to ebb in some parts of the country, such as California, flu activity has remained widespread in 49 states for three weeks in a row. And that's unusual. Hospice care is gaining in popularity nationally, but Vermonters have been slow to embrace the trend. So one local hospice agency is trying to change the way people here think about death and dying. 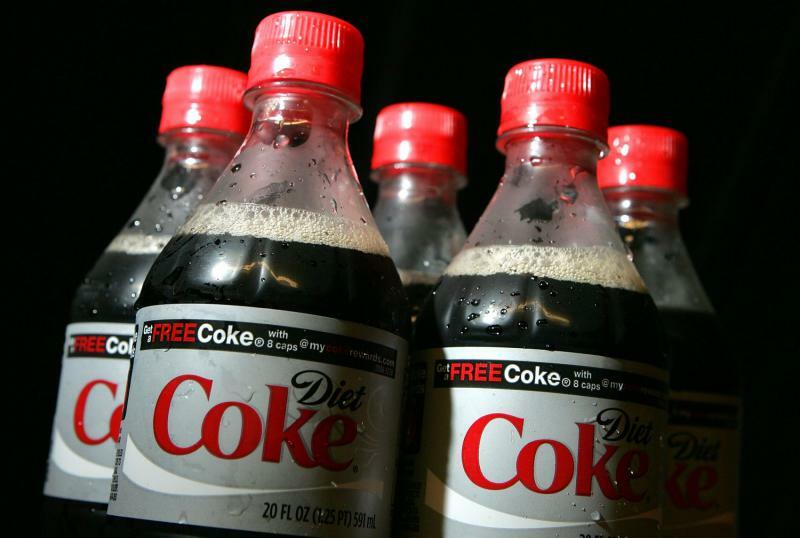 A new study has found an association between frequent drinking of diet sodas and an increased risk of both stroke and dementia. Here & Now‘s Meghna Chakrabarti speaks with Dr. Matthew Pase, the study’s lead author and a neurologist at the Boston University School of Medicine, about what it means for the average soda drinker.